Do you have things you need out of the way, but want to keep close at hand? SMARTBOX makes on-site storage easy. Whether you’re a homeowner trying to sell your home or a contractor who wants to keep supplies and equipment secure on the job site, our portable storage containers are the perfect way to do that and more! Reserve your on-site storage in MD, VA, or DC-call SMARTBOX at 301-683-6111 or fill out the contact form on this page to get started! You can save big on your portable storage by taking advantage of our great coupons. We’re always running new and exciting promotions to help you make your storage more affordable. Check them out today! 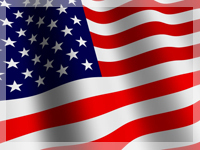 Are you an active member of the United States military or a veteran? All of us here at SMARTBOX are grateful and honored by your courage and sacrifice. That’s why we offer 15% off on our monthly rental charges, storage, and moving and packing supplies. When you need on-site storage, all you have to do is pick up the phone! SMARTBOX will bring as many portable storage containers as you need to your home, office, or job site and drop them off wherever is most convenient for you-and you can keep the containers as long as you need them. Your belongings and equipment will be safe and secure because each portable storage unit comes equipped with a sliding hasp built to accommodate a padlock or combination lock, along with an all-seasons weather-resistant cover to protect your valuables from the elements. If you decide you need your things moved to another location (such as a new job site, home, or office) or you’d like them to be taken to our temperature-controlled storage facility, just give us a call. We’ll pick up your containers and transport them to their new location or our facility! 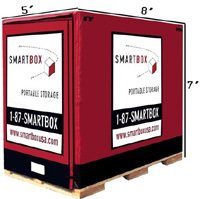 No matter your reason for on-site storage, SMARTBOX can help you! Contact us today to find out if our portable storage containers are the right choice for you. When it comes to simple, affordable on-site storage, there’s only one name you need to know in Maryland, Northern Virginia, and Washington, DC, and that’s SMARTBOX! We’ll always provide upfront pricing and accurate quotes so you’ll never get hit with hidden fees or surprise charges. Give us a call today to reserve your on-site storage containers! Convenience is our number one goal-it’s as easy as picking up the phone to schedule your delivery. Contact us online or by phone at 301-683-6111 to reserve your on-site storage!